Nearing the completion of his second term serving the geographically large and economically diverse Fifth District, Supervisor Efren Carrillo will join us on Oct. 5th. Raised in the Roseland area of Santa Rosa and our County’s first Habitat for Humanity home, Efren dedicated his life to public service from a very young age. He graduated from UC Berkeley in 2003 (with a Bachelor’s Degree in Environmental Economics and Policy), interned with the U.S. Environmental Protection Agency, and held key positions with the Sonoma County Economic Development Board, Sonoma County Business Environmental Alliance, Office of Assemblyman Joe Nation, and Redwood Credit Union. 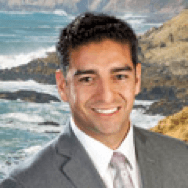 As Supervisor, Efren continued his involvement in water and climate protection issues, helping to bring forward the Sonoma Clean Power Authority, worked on immigration reform, and, always a top priority, spearheaded programs related to making a difference for Sonoma County youth. Among them is the groundbreaking partnership with Sonoma County Office of Education and private donors to launch the Career Technical Educational (CTE) training effort with a CTE fund established at Community Foundation Sonoma County, which builds on the County’s Cradle to Career and Upstream Investment programs. Supervisor Carrillo will also bring us up to date on the current state of the 5th District and share with us his plans for the future.